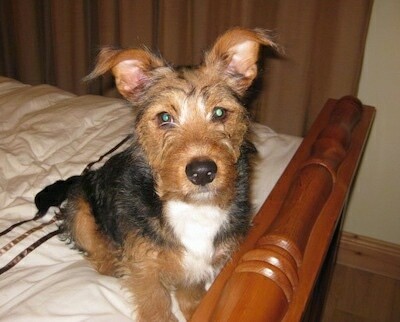 "Fourche Terriers are very rare in Ireland, as hybrids are not very popular here. To the best of my knowledge the lady we purchased Harvey from is the first in Ireland and it was also her first time breeding them!! 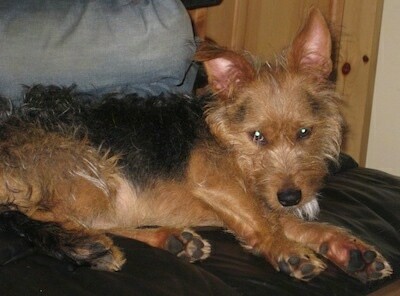 Here is some info on Harvey: Harvey is 1 and 1/2 years old in this picture. He sleeps quite a bit at this age, but is still very active and needs a good long walk or run daily, if not he becomes anxious and a bit whiny. 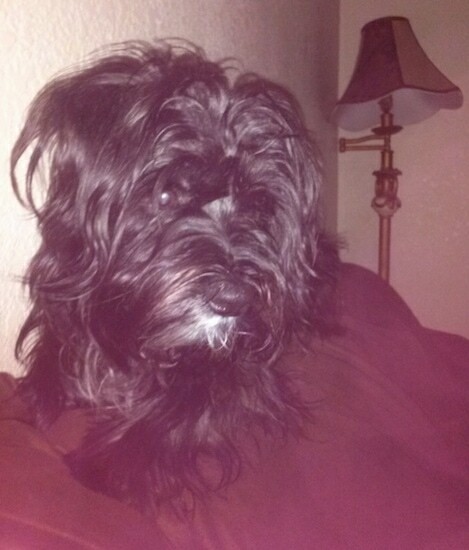 He is black and tan with gray coming through and a white chest and the loveliest face. A real pet that loves cuddles and wants to be with us all the time, but can be very protective and barks when people pass the house but wouldn't bite. He needed very little training especially toilet training, he picks up everything so quickly. He loves to play and be chased, especially if he has a ball or toy, and loves being out and about and involved in everything we do. On the down side, I think he suffers from separation anxiety and goes crazy when we leave him but recently got a DAP (dog appeasing pheromone) to try ease the stress when we go to work. 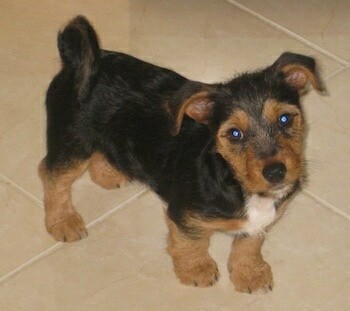 We also got a new puppy, a Yorkie, for company and it's working well so far. I don't have children so not sure how he would do with them but like any dog trained properly, I'm sure he would be fine!" The Fourche Terrier (pronounced "fush" to rhyme with "push") is not a purebred dog. 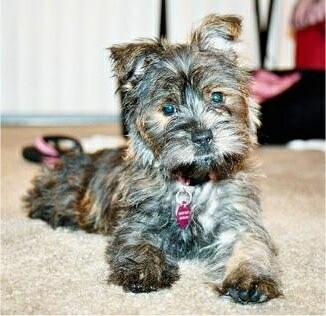 It is a cross between the West Highland White Terrier and the Yorkshire Terrier. The best way to determine the temperament of a mixed breed is to look up all breeds in the cross and know you can get any combination of any of the characteristics found in either breed. Not all of these designer hybrid dogs being bred are 50% purebred to 50% purebred. It is very common for breeders to breed multi-generation crosses. 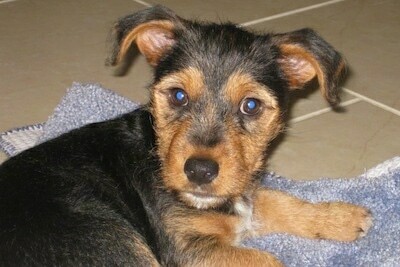 Floki the Fourche Terrier as a puppy at 14 weeks old—"His name means tuft of hair in Old Norse. He loves going swimming, climbing rocks, and playing with his two cat siblings, he has all of the best traits of both breeds and we are so in love with him! Also please ignore the mud in his mouth... he digs!!!" 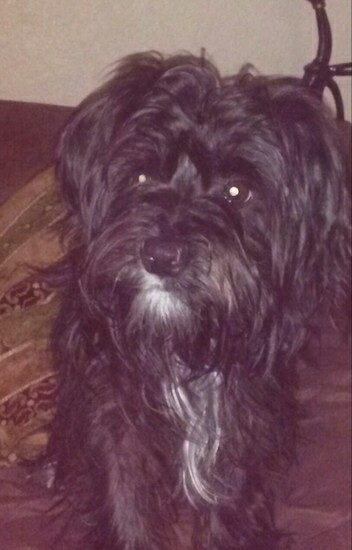 Markie Grisholm Bear Robinson the Fourche Terrier at 9 months old—"His daddy is a West Highland White Terrier, which I own and his mommy is a Yorkshire Terrier, which my mom owns. The pregnancy wasn't planned but we are glad it happened. Markie is wonderful. He is strong willed, happy and definitely the boss of the house. He has us all wrapped around his little paw. Love of our life." 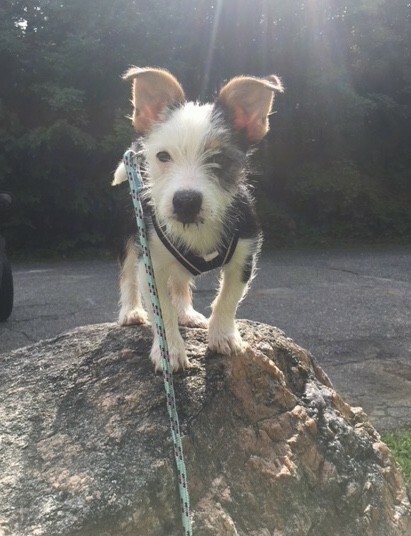 Petite, a female Fourche Terrier at 7 months old—Fourche Terriers were first created in 1978 by Fourche Valley Kennel, and Petite was one of the pups from that litter. The first litter of Fourche Terriers was created strictly by accident, by crossing a Yorkie and a West Highland White Terrier. They turned out to be wonderful little dogs and their breedings continued. 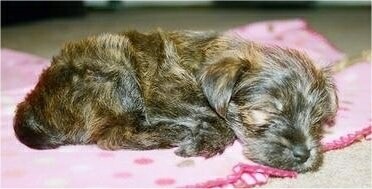 "We named them "Fourche Terrier" after the name of our kennel, Fourche Valley Kennel. "Fourche" is pronounced "fush" to rhyme with "push." That isn't the French pronunciation, but that is the name here. The Fourche Terrier was slightly larger than the Yorkie, much smaller than the Westie. They had superior personalities, with the Westie spunkiness and non-shedding coat of the Yorkie, but looked like a miniature Cairn Terrier." 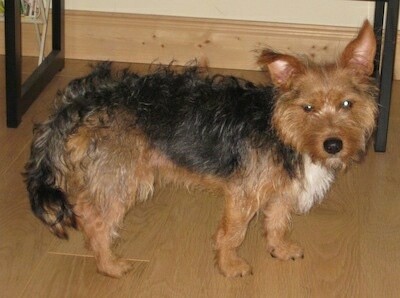 This is ToTo, a male Fourche Terrier at about 15 months old. 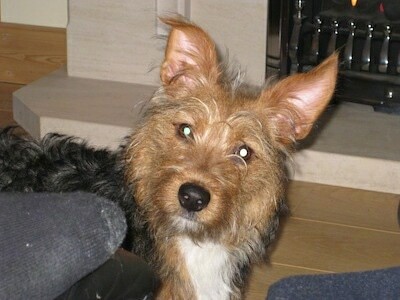 "Yogi Bear, Yogi for short, is a Fourche Terrier shown here at 7 months old. His mother is a Yorkshire Terrier and his dad is a West Highland White Terrier." 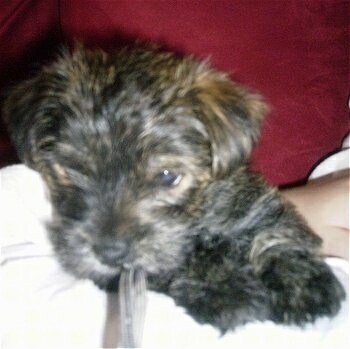 Yorkie / Westie mix breed dog (Fourche Terrier) puppy at about 8 weeks old.